Airline fuel efficiency on transatlantic flights has improved by one per cent a year since 2014 as carriers buy modern planes, but the industry still lags its own climate goals, a study released on Wednesday said. The industry's average fuel efficiency improved to 34 passenger kilometres per litre of fuel from 33 between 2014 and 2017 as carriers opted for modern aircraft with lower fuel burn and operated fuller planes, the study from the US-based International Council on Clean Transportation (ICCT) said. Airlines have been switching to more fuel-efficient aircraft in an attempt to mitigate the impact of high oil prices on their margins. The aviation industry has also set a non-binding goal of capping emissions from international flights at 2020 levels, despite rising passenger traffic as global travel demand climbs. In 2010, the Montreal-based International Civil Aviation Organization (ICCT) set a goal of 2 per cent annual fuel efficiency improvement through 2050 for all international flights. Airline trade group International Air Transport Association (IATA) expects an average improvement in fuel efficiency of 1.5 per cent per year on all international flights from 2009 to 2020. While the study only looked at transatlantic flights, the ICCT said airlines will have to become more efficient to meet industry goals. 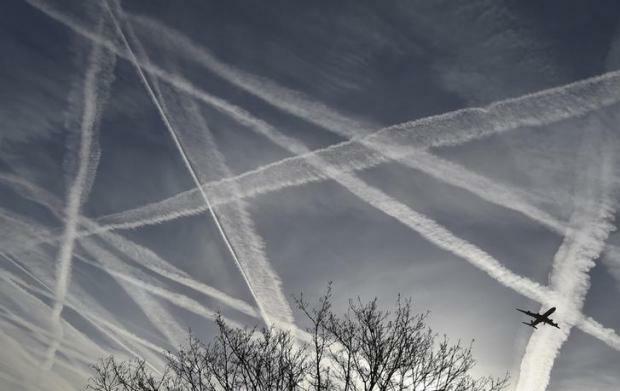 "New policies to accelerate investments in more fuel-efficient aircraft and operations are critical if industry is to meet its long-term climate goals," said Dan Rutherford, aviation programme director for the US-based independent non-profit research organisation. The study compared the fuel efficiency of nonstop passenger flights between North America and Europe by 20 major airlines, following a similar study conducted in 2014. Starting January 1, 2019, most airlines flying international routes will begin monitoring their fuel and carbon emissions as part of a landmark agreement brokered two years ago by ICAO. According to industry figures, air transport accounts for 2 per cent of global man-made carbon emissions. Budget carrier Norwegian Air Shuttle ASA, which operates new Boeing 787 Dreamliners and 737 MAX aircraft, was ranked first of the 20 transatlantic carriers for fuel efficiency, while British Airways, part of the International Airlines Group, came in last. Of the US carriers, Delta Air Lines had the most fuel efficient fleet, meeting the industry average, while United Airlines was ranked third from the bottom.